One of the most dazzling designer gemstones in the world is the Azotic Mystic Topaz. It was created in 1998 by the Azotic Coating Technology, Inc., and its popularity immediately skyrocketed. The gorgeous play of prismatic colors in the Azotic Mystic Topaz comes from attaching a natural White Topaz to a thin layer of titanium metal. Light passing through the titanium-coated Topaz causes the gemstone to shine like an Aurora Borealis with a dark rainbow-like display of vibrant, mesmerizing colors. Because the coating process does not chemically alter the Azotic Mystic Topaz, it is considered a natural gemstone. Since the Azotic Mystic Topaz is also a November birthstone, it makes a perfect gift for anyone celebrating a birthday in November! Ana Silver Co. carries a stunning selection of Azotic Mystic Topaz Sterling Silver jewelry. Each one-of-a-kind piece is handcrafted in solid 925 Sterling Silver by our in-house team of talented artisans. Browse our sparkling collection of Azotic Mystic Topaz pendants, Azotic Mystic Topaz Earrings, and Azotic Mystic Topaz rings. 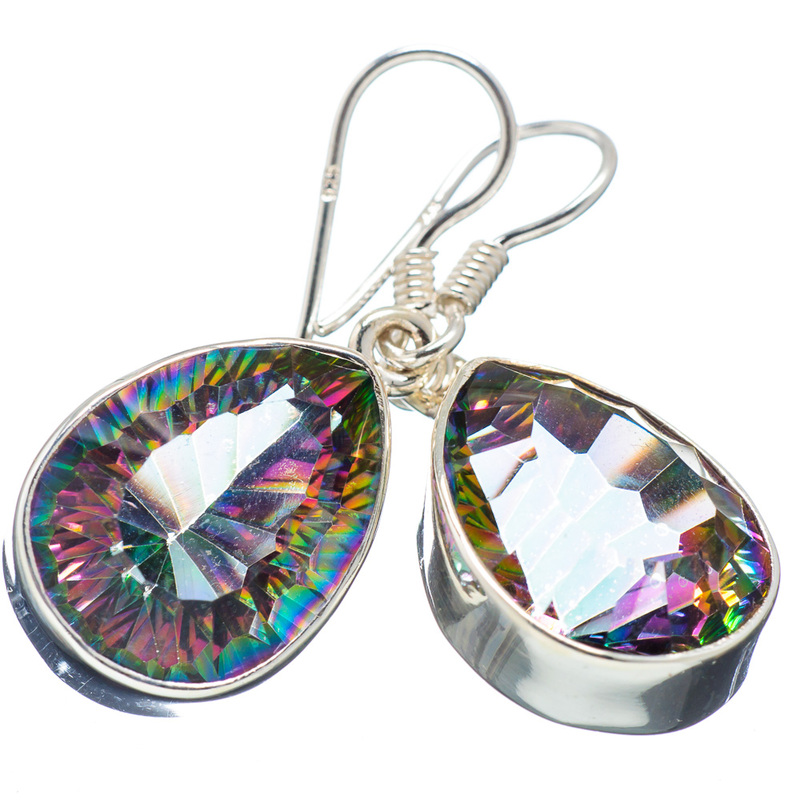 To care for your Azotic Mystic Topaz jewelry: Gently polish the gemstones with a non-abrasive jewelry cleaning cloth, which is available from our store. Wash the Azotic Mystic Topaz gemstones with only warm water and soap to preserve all the stunning brilliance of your jewelry.